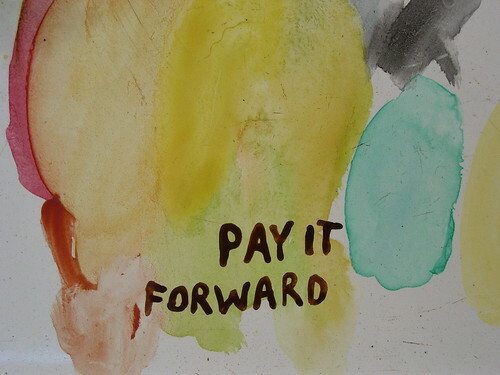 Angie at Cozy Nest has posted about a Pay it Forward (PIF) exchange. She asked three people to join, and I accepted the invitation. A little about Angie: she made a beautiful quilted pillow that I like and takes really appealing photos. So go visit her site too! So if you would like to participate, I will make and send a handmade gift to the first three people who leave a comment. I will probably try to make & send the gift to you in early November.